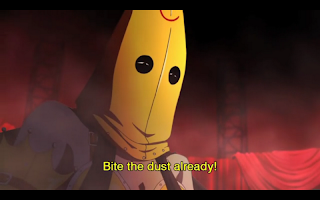 Persona 4 The Animation continues its quest to prove it deserves to exist. Does it take full advantage of the medium, or is it just another attempt to cash in on a popular series? You be the judge! But in the meanwhile, let me tell you what you should think. The episode flashes back to the first time Chie and Yukiko met. Yukiko found a puppy, that she can’t keep because they have no time for pets at the inn. While in the current time Chie comes into class, frantically asking if anyone has heard from Yukiko. 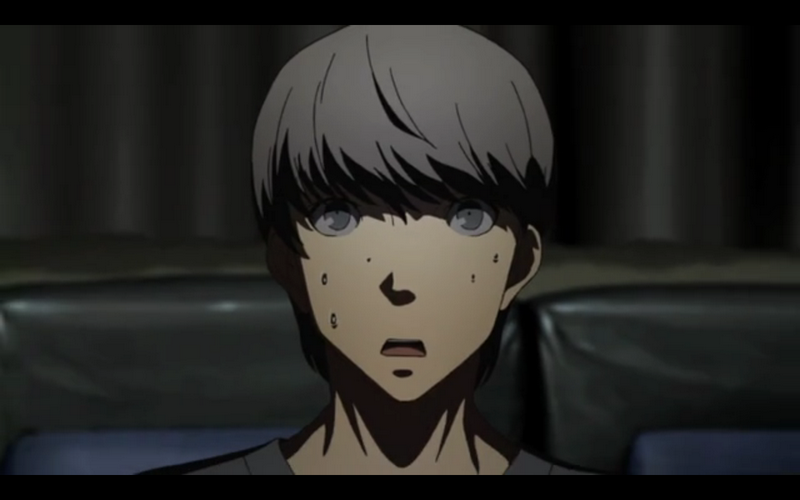 She starts worrying that something might have happened, when she gets a call from Yukiko. Comforted that Yukiko is safe, the three of them go back to Junes, where Yu reaches into the TV to try and get a hold of Teddy. He gets a bitten hand for his efforts. 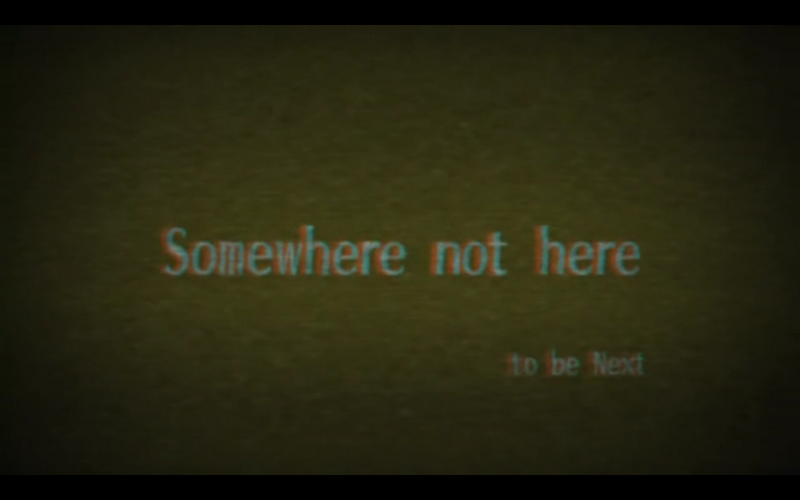 Teddy says that there is no one but him in the other world at the moment. 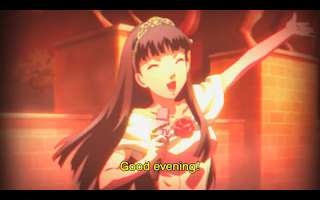 But when they turn the midnight channel on that night, a person who is clearly Yukiko appears on the screen. 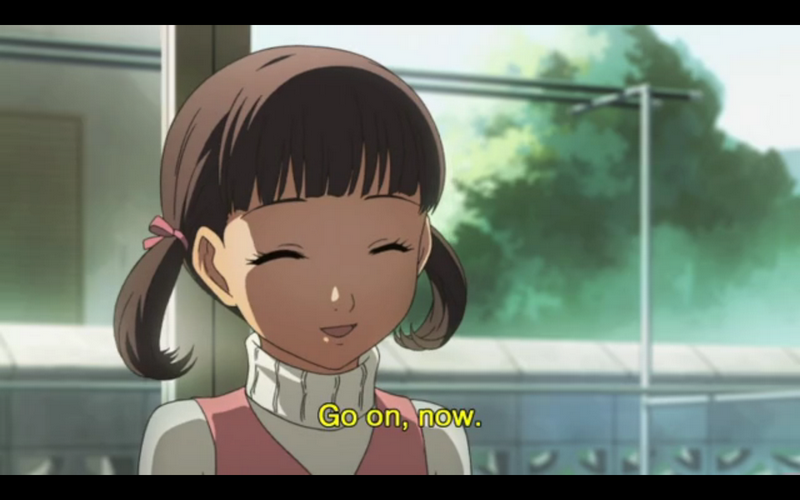 She acts about as un-Yukiko as possible, before the screen goes blank again. 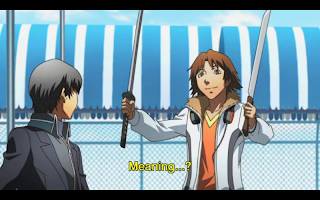 The next day Yosuke brings some swords to the Junes food court, for them to use in the TV world. 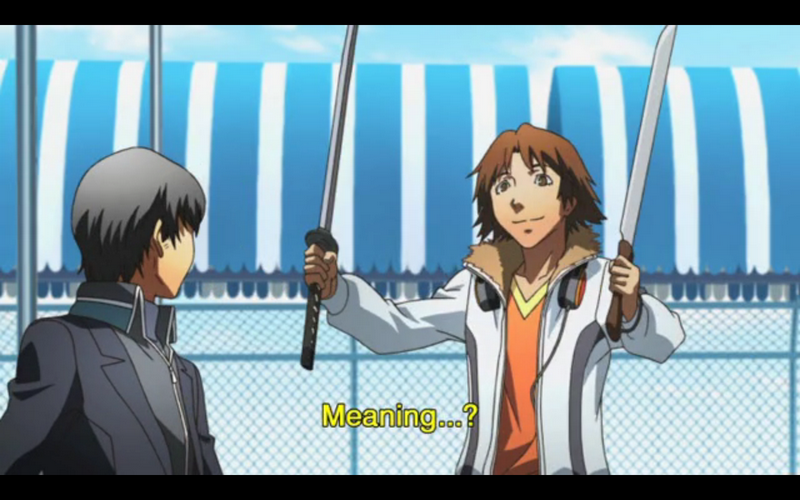 A cop sees them, and arrests Yu and Yosuke. 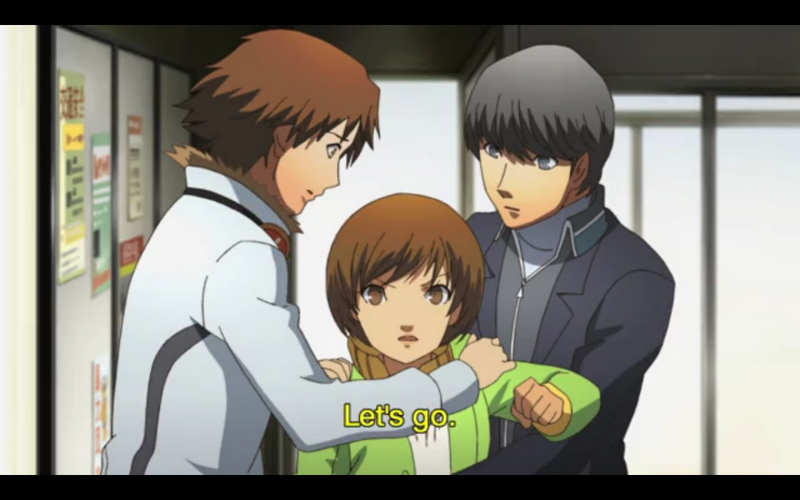 Chie runs after them to the police station, where Adachi, one of the detectives suggests that Yukiko ran away from home because she had something to do with the first murder. Chie gets angry at Adachi, and Yu and Yosuke have to drag her out of the station. The three of them all go into the TV world, where Teddy takes them to a castle. They go inside to save Yukiko, fighting their way through all the shadows. Chie hears Yukiko’s mind, and is shocked when she hears Yukiko’s feelings. 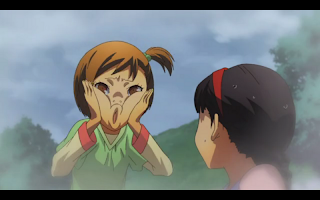 She meets her shadow self, and rejects it the same as Yosuke did. Her friends have to fight the shadow, and once they beat it Chie comes to the realization that the shadow really is her inner feelings. 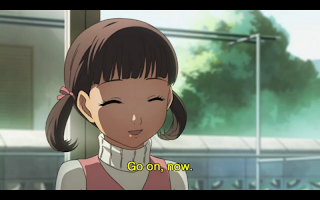 But despite the dark feelings she has in her heart, she still loves Yukiko as her best friend. 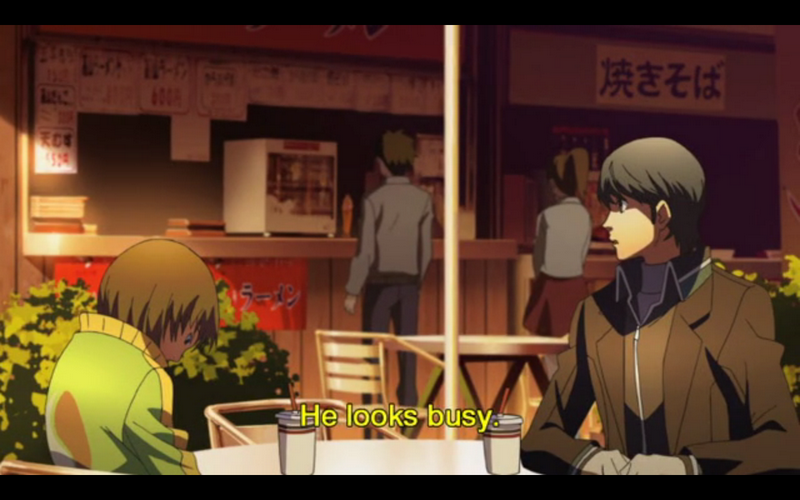 Back at the food court, Chie apologizes for collapsing. 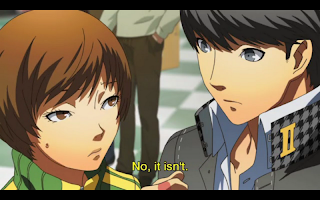 Yu and her share a moment together, as Chie shows him a picture of her dog. The same dog from the flashback at the beginning of the episode. Chie’s moment is given a bit more gravitas than it was in the game. 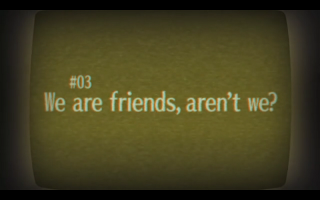 At least it feels like that. 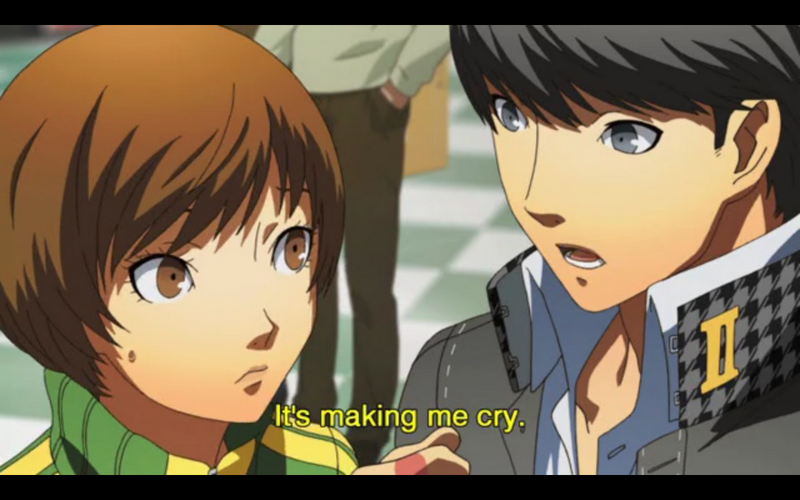 In the game Chie gaining her persona is overshadowed by the larger quest of trying to rescue Yukiko. Because the player tries to bull their way through the level it feels less like an important moment in Chie’s development as a character, and more like a minor road bump on the way to saving Yukiko. 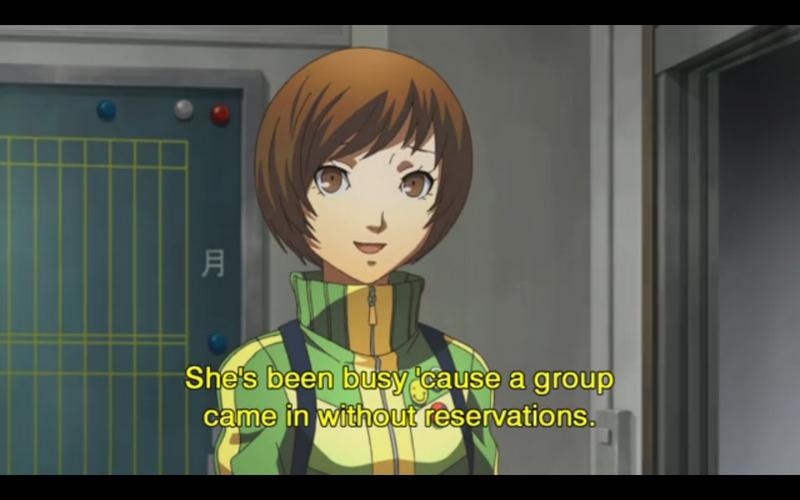 Remember, Chie is the best character. Giving Chie her own episode not only works pacing wise, but it also gives her the due she deserves. By focusing entirely on her for the entire episode, it helps develop her as a main character. 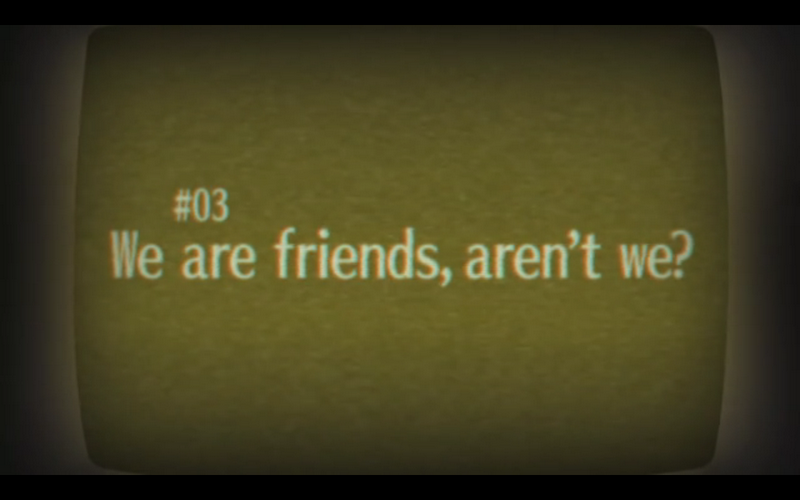 Chie’s personality is tied into her friendship with Yukiko, and this episode allows us to focus on what that means to her. Yu’s character continues to slowly develop. The writers are giving him a very dead pan sense of humor. They’re building his personality by emphasizing that he has no character, and that he’s not meant to have a personality. He’s so bland it practically counts as being a developed character. While not a huge fan of adaptations, and still remaining skeptical about whether this show will be worth the time, I have to admit that I’m hopefully optimistic about this anime. So far it’s competently made, and entertaining to watch. What still remains to be seen is if it can stand up to the original game.